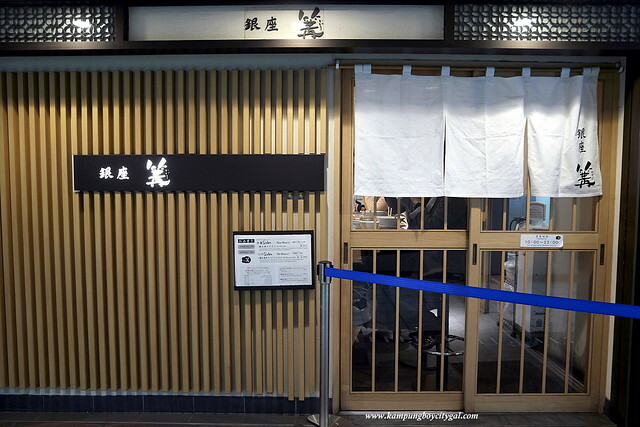 Ginza Kagari is a very famous ramen shop in Ginza area. 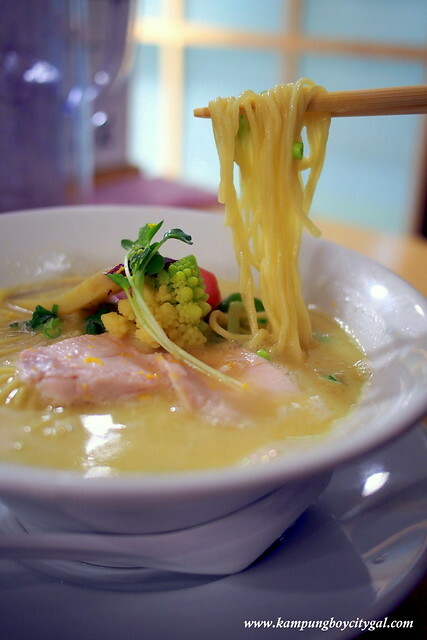 The shop does a tori paitan, which means creamy chicken ramen. It is very different from the usual pork based tonkotsu ramen. 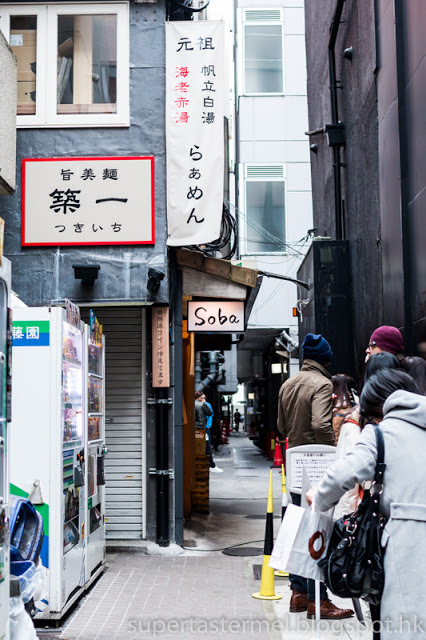 The original Ginza outlet is a tiny 8-seater ramen shop in a back alley that is consistently seen with a long queue. 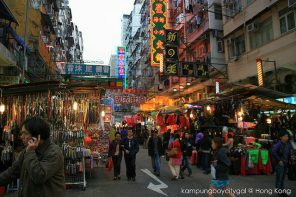 This image was taken from supertastermel.blogspot.hk. 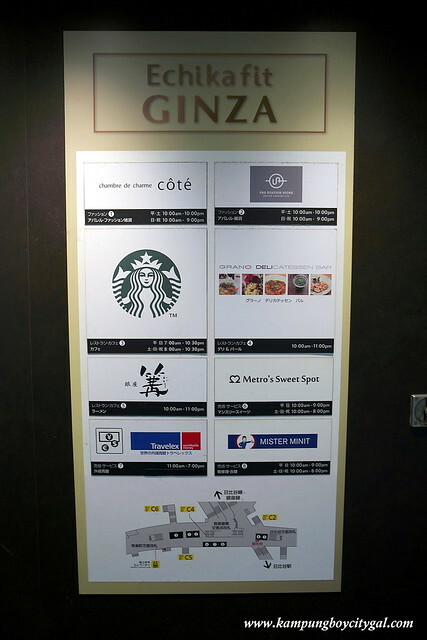 In year 2015, Kagari has FINALLY opened a second shop in Echika Fit Ginza, a small area located within the huge Ginza subway station. The hours for this shop is 10 a.m. to 11 p.m. 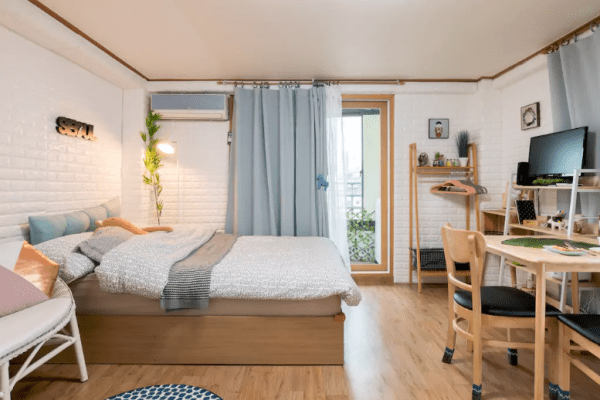 However, the staff said that best to come by 10 p.m. or you will be turned away. We were here at around 3 pm and there’s no queue at all! 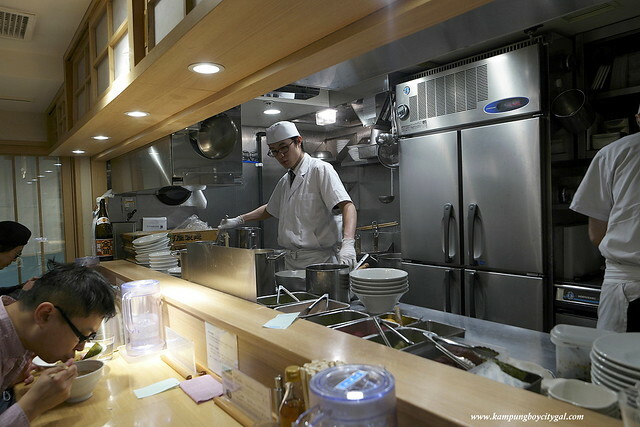 It is also a small, 8 seater restaurant with two chefs manning the counter. 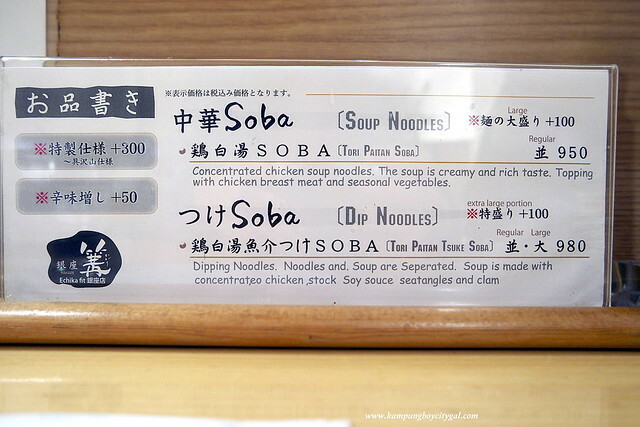 The menu wrote “SOBA”, as the restaurant refers to their ramen as chūka soba, or Chinese noodles. Both of us felt like having something soupy so we went for the Tori Paitan Soba. 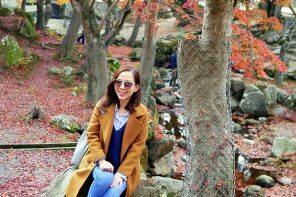 Our immediate reaction was “wow”, right after we a took a sip of the creamy and thick soup that resembles the colour and consistency of cream. However, the Tori-Paitan was heavenly and not too sickeningly rich! 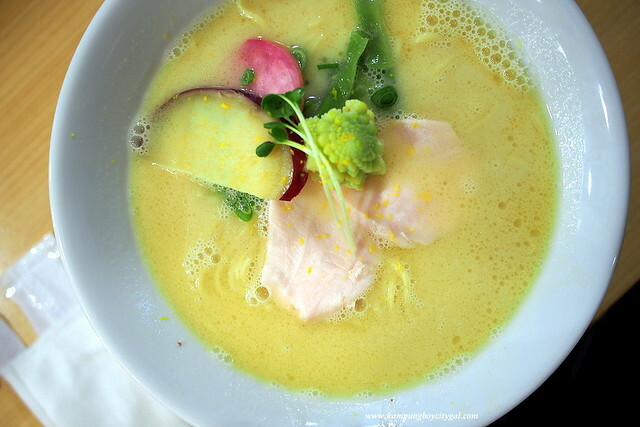 The broth is bursting with flavor and the fat is evenly distributed in the broth. There was also a nice assortment of veggies on top and some tender slices of chicken breast. 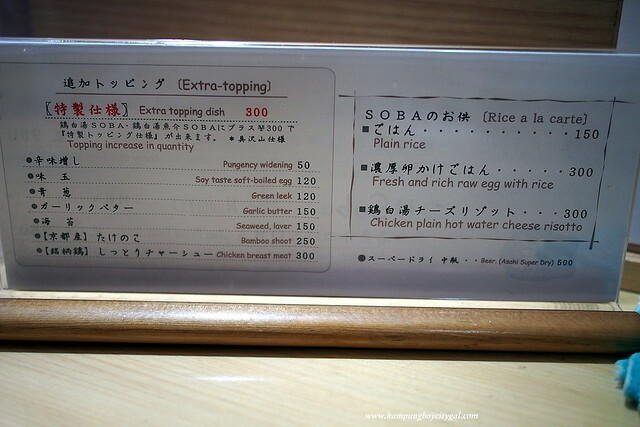 I wonder how they prepared the chicken breast slices – so juicy and tender with a slight pink centre. The egg was perfectly medium boiled and had a nice flavor from the soy sauce. We also secretly love the sticky feeling on our lips after eating, must be the gelatines. 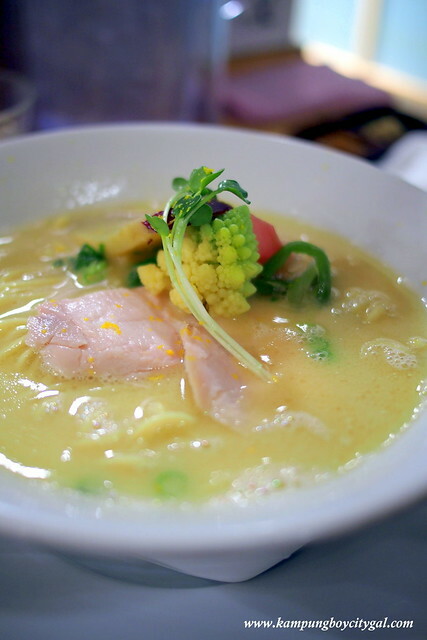 I can assure you that you’ve never had anything like this ramen before. A Japanese guy who was seating next to us ordered a bowl of white rice and dunk it into the creamy broth after he finishes the ramen! What a great idea to finish up the north but we were too full! 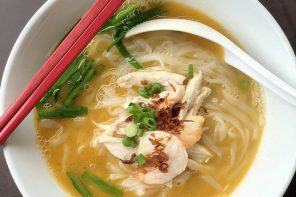 You can also opt for extra topping such as egg, leek ,garlic butter, bamboo shoot, chicken breast and etc. 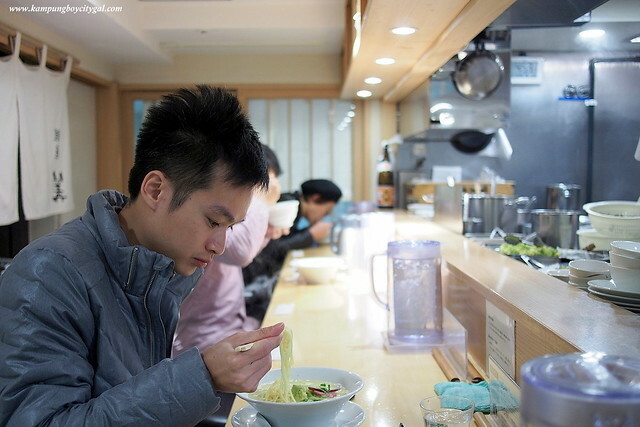 We reckoned that Kagari is one of the must try ramen shop in Tokyo. Remember to go to the outlet at Echika Fit to avoid long queues. Restaurant Moon de Moon – Best Kai Si Hor Fun in Ipoh?